Most in-hospital cardiac arrests (IHCAs) occur on normal general wards due to non-cardiac etiology, and the prognosis is poor with only one fifth of IHCA patients surviving to hospital discharge [1–3]. Studies from the last two decades have repeatedly highlighted the presence of abnormal vital signs preceding a clear majority of IHCAs [4, 5]. This explains the poor survival even when immediate advanced cardiac life support is provided; if the cardiac arrest occurs after hours of continuous hemodynamic and respiratory instability, efforts to recover spontaneous circulation do not solve the core problem . 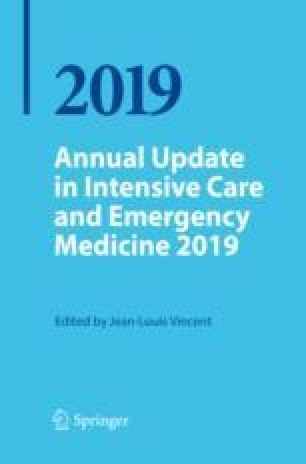 Therefore, in-hospital advanced cardiac life support programs have shifted towards the prevention of cardiac arrest in general wards through use of rapid response systems . A multitude of before-after trials have shown that IHCAs (and indeed also in-hospital deaths) may be avoided through early detection of deteriorating vital signs and timely transfers to intensive care .